How can we promote youth policy reform and young people’s participation in democratic life? Can mixing offline and online activities, through e-tools such as YouthMetre’s, improve the participatory process? These were just a few of the questions discussed by the speakers at YouthMetre’s launch on February 14 at the Committee of the Regions in Brussels. Here, the need to understand participation dynamics among young people in local communities better – and how this has changed over the last years – was acknowledged. As was the importance of sharing successful experiences and replicating them in different contexts. It was also the perfect introduction to YouthMetre’s Young Influencers. 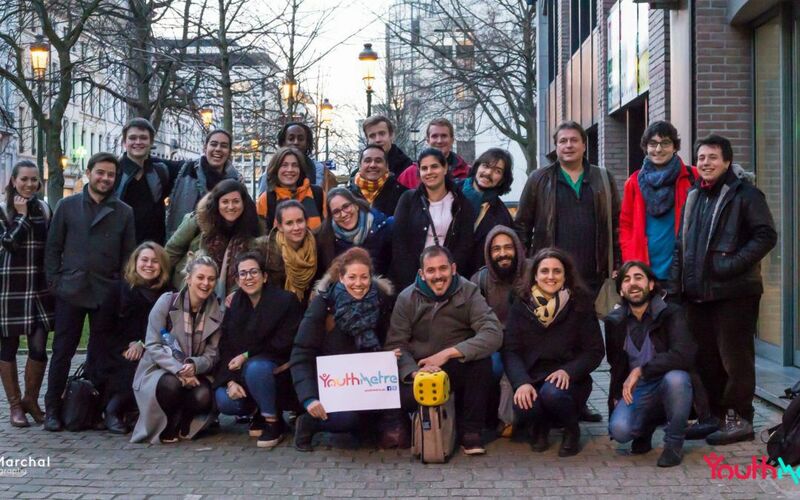 14 young adults from 14 countries across Europe, who had previously been involved in YouthMetre’s study groups, met in Brussels for a two-day training dedicated to the YouthMetre e-tool and a series of topics linked to it. The training was developed in order to give the young influencers news tools and methods to help other young people in expressing their needs, engaging with decision makers and influencing youth policy, in particular through the use of the YouthMetre’s e-tools. The training’s goal was to test this new methodology and improve it in order to make it more suitable for use at the local level, with an audience of young people. The training was an occasion to meet 14 motivated young people, active in their own context and interested in spreading YouthMetre. In the next months, YouthMetre’s project partners will support them in organising local activities based on the use of YouthMetre e-tools and training material. The young influencers will work with other groups of young people to bring their ideas to policy makers’ attention. This project has been funded with support from the European Commission. This Web site reflects the views only of the authors, and the Commission cannot be held responsible for any use which may be made of the information contained therein.